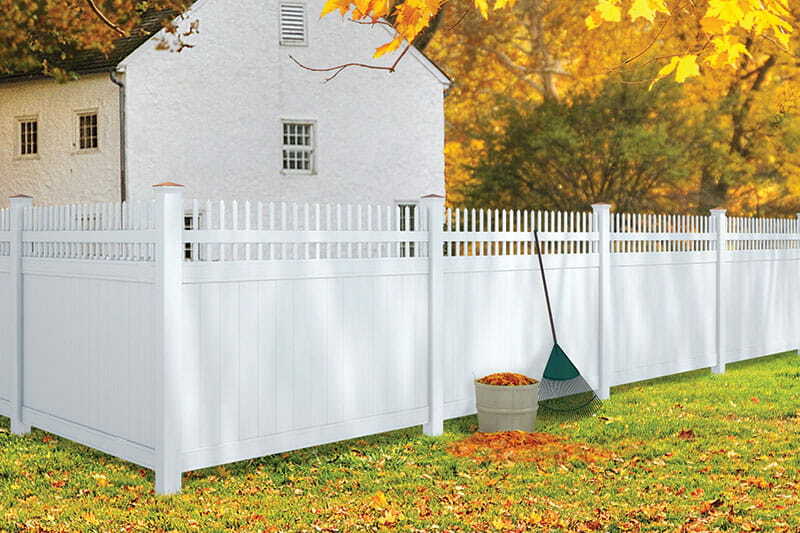 Our Lakewood Picket Top semi-privacy fence is a stylish combination of function and design. 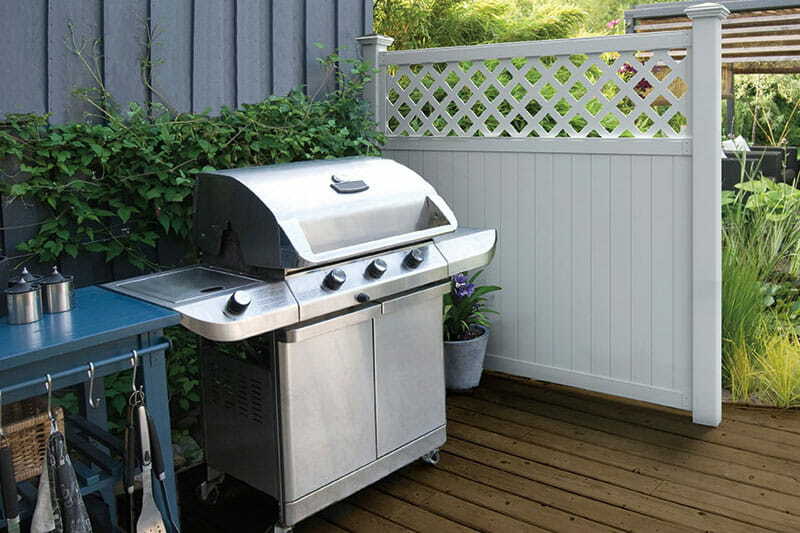 This fence style offers full privacy for almost 4-1/2 feet, then shifts into a statement-making picket top. We offer two types of picket top semi-privacy fence: Open Picket Top or Closed Picket Top. On our Lakewood Open Picket Top vinyl fence, spade-topped pickets extend past the top rail, mimicking the style of an ornamental wrought-iron fence. All fence components, including the top pickets, are made of durable, low-maintenance vinyl. We offer two open picket top styles – straight picket top or scalloped picket top. On our Lakewood Closed Picket Top vinyl fence, square pickets are enclosed by a top rail. We offer two closed picket top styles – square vinyl picket top or square aluminum baluster top. The vinyl pickets are made of the same durable vinyl as the rest of the fence. The aluminum balusters are powder-coated black for minimal upkeep and long-term performance. 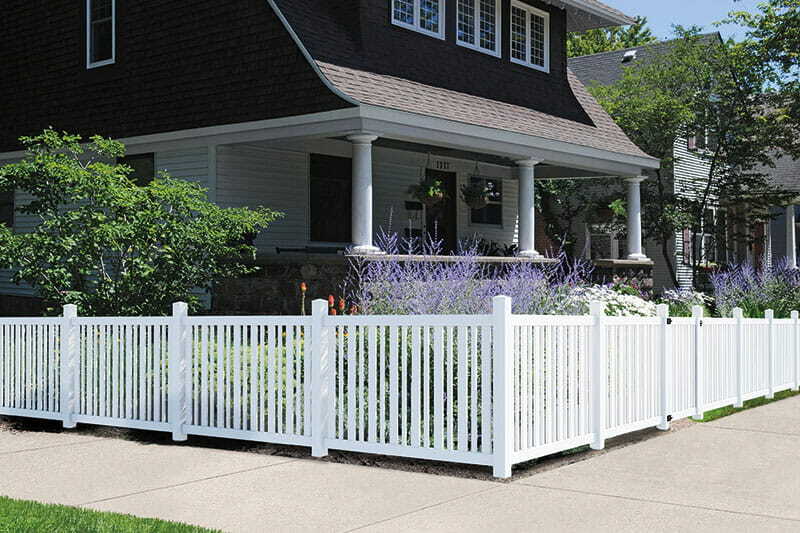 All Lakewood Picket Top fences and gates come in easy-to-assemble kits. We offer compatible posts for easy assembly.